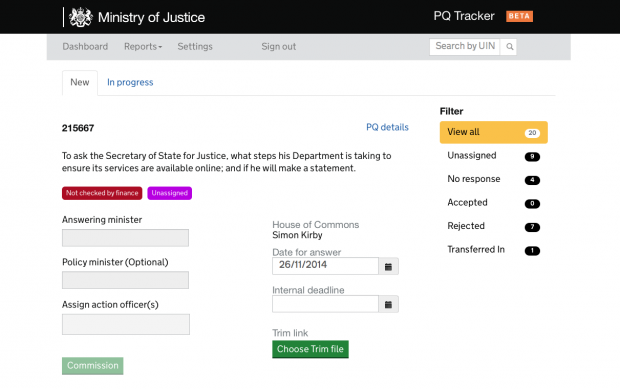 MOJ Parliamentary Branch worked with MOJ Digital Services over 20 weeks to develop Whitehall’s first open source Parliamentary Questions (PQ) Tracker. 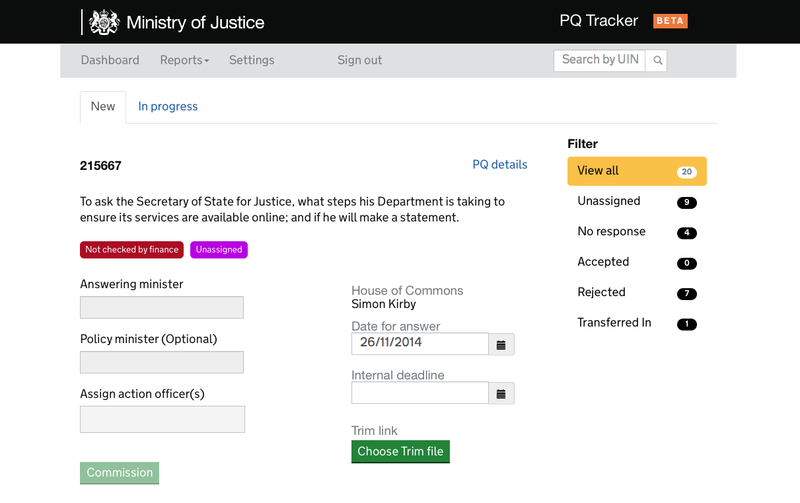 This was a great opportunity to create a tool that would help us manage questions from an MP or Peer to the department, and to monitor their progress. 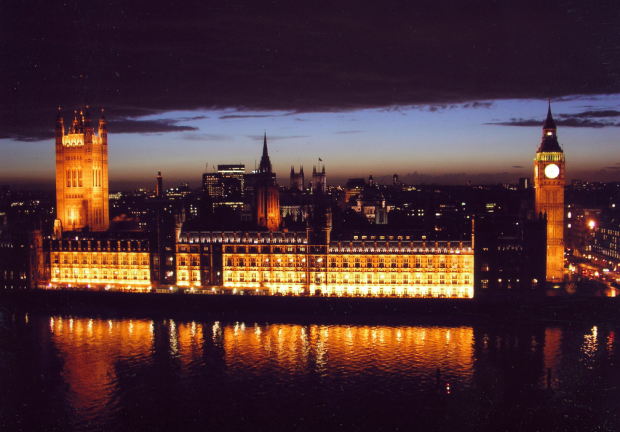 Parliament made its 'tabled Parliamentary Questions to be answered' API (Application Programming Interface) available to all departments in the summer, enabling any department to download all questions relevant to them on a daily basis. We made full use of the information download from the get-go by introducing the PQ Tracker which plugs into Parliament's API. The PQ Tracker receives questions tabled first thing in the morning so MOJ's Parliamentary Branch can get on with swiftly notifying the right person and team of the questions that they need to draft a response for. We worked closely with users and consulted widely to make sure that all new automated emails and instructions are simple and easy to use. The PQ Tracker went live from the start of the new Parliamentary term on Monday 1 September and we've seen amazing performance results so far, particularly with regards to improved turnaround times. It enables greater transparency of information shared between those writing the draft answers and Parliamentary Branch. Once a draft answer has been signed off by the minister it gets uploaded to Parliament's website. This is an excellent example of collaborative working between the PQ Team within Parliamentary Branch and MOJ Digital Services. This case management system will help us to continue to improve our performance and will give us a much better chance of hitting our targets and delivering a quality service to Parliament. Please keep up the hard work. The team is enormously proud of what we've achieved so far with our Parliamentary Branch colleagues but the story doesn't end there. In the run up to the live service assessment, our researchers are driving forward even more change, based on user feedback from all groups. This makes sure that we keep iterating on the product, making it easier, faster and more sophisticated and helps push our Parliamentary Branch's performance to even higher levels. Interested in joining MOJ Digital? I work in a central government department and been involved in a project to look at PQ's in the past. I would like to take a closer look at your solution. Is the source code available? Is there someone I can contact at the MoJ to discuss further? Thanks for your message. I'll email you details of who you can contact for a chat about the service.